This listing is for a Floral Martingale Girl Dog Collar which showcases various blue, pink, and white flowers throughout. 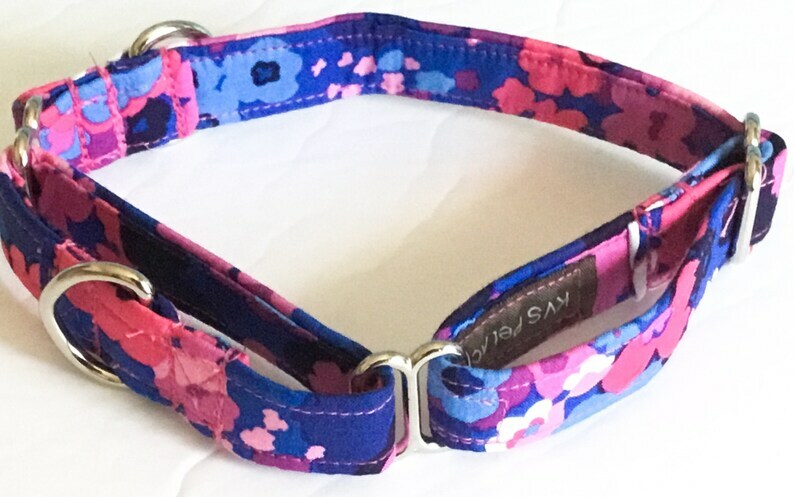 This collar can be purchased with a matching 5 ft leash and a matching flower or bow tie in the options when ordering. The martingale collar can be purchased in a buckled style at the link below the description. Martingale collars are available in width sizes of 5/8 inches, 3/4 inches, or 1 inch.